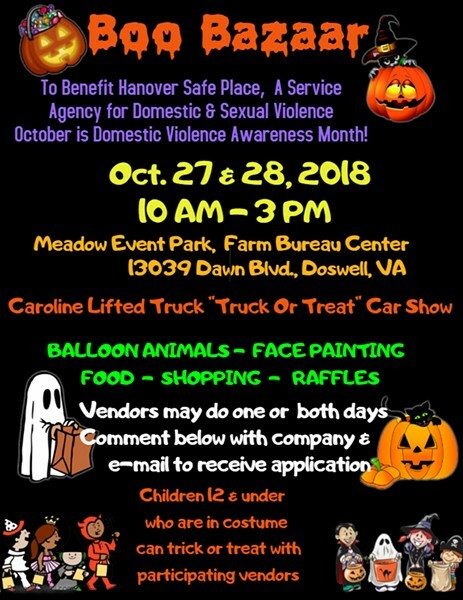 Boo Bazaar | Meadow Event Park Farm Bureau Center | Happenings | Style Weekly - Richmond, VA local news, arts, and events. Vendors, prize raffles, concession stands, activities for the kids and a “truck or treat” car show. Benefiting Hanover Safe Place.